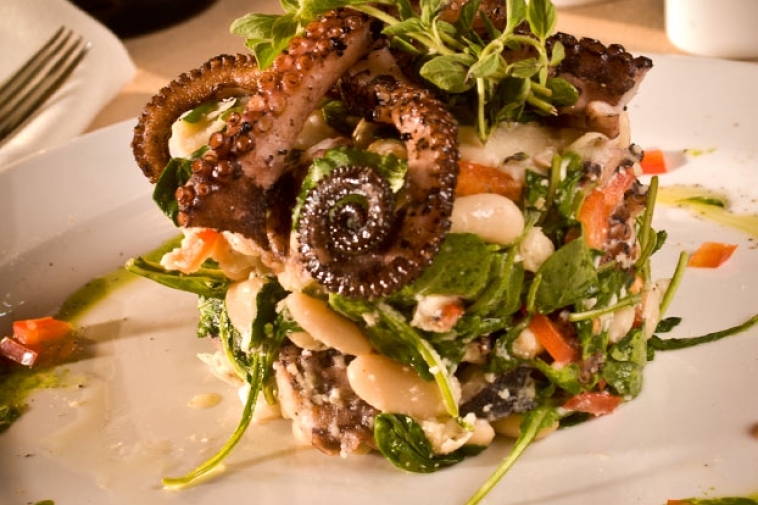 There’s some octopus, some beans, some kind of rice… Is that a risotto? There’s some kind of green stuff mixed in. Smells of seasonings and, and… Ooo, watch that green sauce. It’s hot! I honestly have no idea what the chef put into this recipe, but it was a challenge to shoot as the legs needed to sit just right to be appetizing and recognizable. At one point, he went back to the kitchen to put together a new plate because everything was working… except the octopus!